Local farms select the best for us from stock that’s allowed to grow slowly and naturally. The benefits are not only in superior flavour and texture but it’s healthier, higher in vitamins and minerals, lower in overall fat and saturated fat. To give you the finest eating experience, we mature our beef for at least 28 days. We prefer to use ’dry ageing’ - closely monitoring the process to achieve perfect flavour and tenderness. The skills and pride our butchers have in the preparation of meat is a key reason why our meat is so different from that sold in supermarkets. We are the experts - we can help you choose the perfect cut and give you cooking advice. Finest quality mouth watering meats, supplied from local farms and wild game when in season. Special offers and budget packs that makes your money go further are always available. 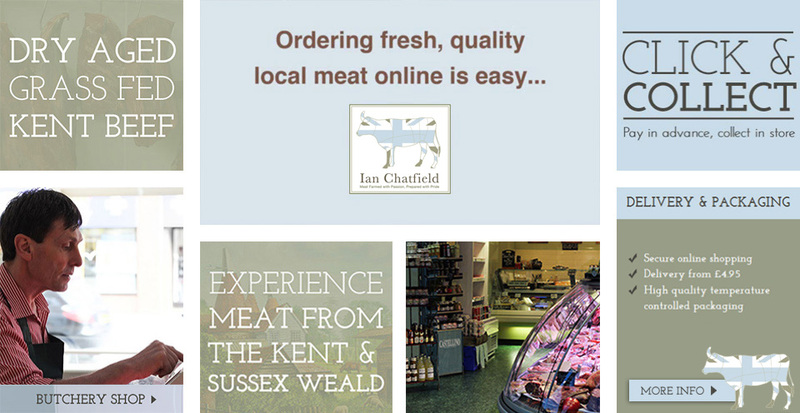 Don’t hesitate to ask our Master Butchers any questions you may have on any of our products. We can prepare your meat just the way you like it and give very good cooking advice too!